Until recently, I have felt pretty comfortable calling myself a genetic counselor. I have a graduate degree in genetic counseling, passed a long and difficult certification exam, and I am licensed by the great state of Washington to practice genetic counseling. It’s on my business card, the directory of my office building, and it is my official job title. I have been providing genetic counseling to patients for 33 years. I had not lost a wink of sleep worrying over what to call myself until about two years ago when I started to develop a nagging identity crisis when, on this very web site, my fellow DNA Ex’er Allie Janson Hazell suggested that maybe it is time to re-think if we should be calling ourselves genetic counselors. It was a minor itch at first. But now it’s grown into a persistent problem that I can’t stop trying to scratch, like the mysterious treatment-resistant, psychologically rooted foot disease that afflicted the John Turturro character in the recent HBO mini-series The Night Of. But let me pose the question differently than Allie did. Why give up a good and beloved name? And I don’t even want to begin to think about the bureaucratic nightmare of rewriting state licensure laws. Instead, maybe, just maybe, it is time to debate whether we should redefine genetic counseling and the genetic counselor’s scope of practice. After all, genetic counseling is what genetic counselors do. If many of the daily activities of genetic counselors are not captured by the current definition of genetic counseling, then perhaps it is time to rethink it. • Interpretation of family and medical histories to assess the chance of disease occurrence or recurrence. • Education about inheritance, testing, management, prevention, resources and research. • Counseling to promote informed choices and adaptation to the risk or condition. I like that definition, with its integration of clinical, educational, and, most critically, psychological aspects of genetic counseling. I am not sure I want to see it relegated to a historical footnote. Paradoxically, it could be that I am subconsciously trying to unconvince myself about the need for a new definition as much I am trying to convince the blog’s readership that it is time to consider updating it. But I have to admit that maybe the modern definition is not so modern anymore. Genetic testing has become, in some instances, downright cheap. Everybody and their cousins are offering genetic testing. You can even obtain genetic testing, for all intents and purposes, without the involvement of a physician, genetic counselor, or any other health care provider. Roughly one in five genetic counselors works in a laboratory setting. Genetic counselors work as test interpreters, policy advisors, genetic ancestry specialists, insurance advisers, laboratory managers, account managers, sales staff, mutation database curators, laboratory liaisons, report signers, educators, and researchers. There are probably genetic counselors who are performing activities that I can’t even think of or grasp. Although for now we are still largely anchored in the clinic, we are drifting on a professional tide away from it. The definition probably still reflects the activities of many genetic counselors, but it also may not capture what a lot of genetic counselors do in their practice. h) provide written documentation of medical, genetic, and counseling information for families and health care professionals. Do the definition of genetic counseling and the scope of practice accurately reflect what goes on in clinics and in other work settings? 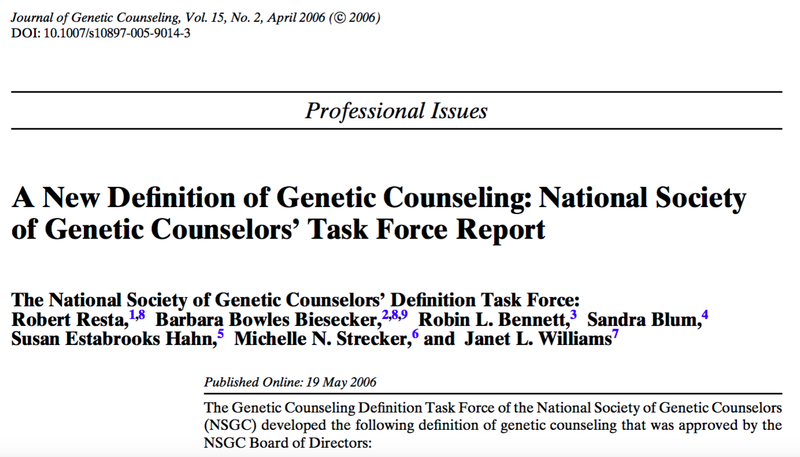 Should the definition be broadened such that the very act of genetic counseling incorporates some of the newer activities of genetic counselors? This would suggest that the definition of genetic counseling could include some practices that are not involved with direct patient interaction. Is the definition still adequate but the scope of practice needs to be reworked? Or is the scope of practice adequate but the definition needs some sprucing up? How do we not lose sight of the psychological component to genetic counseling? Distinguishing between genetic counselors (roughly equal to the scope of practice) and genetic counseling (roughly equal to the definition). Remembering that genetic counseling ≠ genetic testing. Any definition will have an implicit ethos that needs to be carefully considered. The current definition is clearly centered on the psychological and physical well-being of patients. Perhaps it is time to create another task force to address these questions and issues. I second Allie Janson Hazell’s suggestion that any such group should be international in scope; North America does not have a monopoly on genetic counseling. Of course, that could lead to an ungodly large committee; Resta’s Rule Of Committees is that a committee’s effectiveness is inversely proportional to its size. Decades of experience have taught me that the maximal effective committee size is five (no, I did not arrive at that number by a rigorous scientific process; it’s just a natural fact revealed to me in a trance one day). I suggest a tiered process. A small task force, ideally international, investigates these questions and issues, and if the definition and/or scope of practice are found wanting, then they draft a new definition and/or scope of practice. This would then be passed on to a larger committee consisting of several representatives of the major international genetic counseling organizations, who could then choose whether to pass it on to their larger membership for comment. The task force should include a clinical person, a lab person, and two or three other genetic counselor specialties. Grizzled veterans like me should be kept off this committee. We may unknowingly be too caught up in the old vision, too self-convinced that dammit, we do genetic counseling the right way. This project needs counselors who are early mid-career to late mid-career, the group who are the natural successors to us silverbacks, ancient shamans, and village elder wise women. The scope of practice does not have to be particularly terse. But the definition should not be too wordy; think of how convoluted and awkward the old ASHG genetic counseling definition was. The current definition is about the right length, and, practically speaking, the definition can stand on the first sentence alone without the bullet points below it. I think that it is a tough act to follow, but sometimes the show must go on. Oh, and while they are at it, they really should consider changing the wording to the more grammatically correct genetics counselor and genetics counseling. And let me interject another curmudgeonly opinion. I think that there are valid points made by both sides of the “Are they patients or are they clients?” debate, and I personally go back and forth freely. But I pray to God that we never use the phrase “consumers of genomic medicine.” I don’t care what you tell me about the business side of genetics and medicine; we should never label people as primarily income generating entities. What do the Good Readers of The DNA Exchange think about this? Complete the very unscientific poll below, and share your thoughts in the Comments section. The NSGC Annual Education Conference – only 2 weeks away – will be an ideal venue to further this discussion. And speaking of the AEC, note the announcement just below the poll about an opportunity to meet some of your favorite DNA Exchange bloggers at the upcoming Annual Education Conference in Seattle. 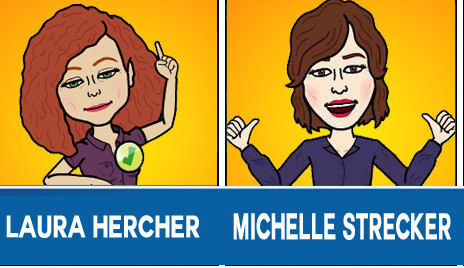 Meet Some of Your Favorite DNA Exchange Bloggers, Judges Laura Hercher & Michelle Strecker, And The Evening’s Emcee, Yours Truly, Kool Papa Bob! Do you have a good story to tell or a talent to put on display? We would love to hear from you. There are still a few slots available. Story tellers and performers should email talent@geneticsupportfoundation.org to learn more. A few weeks ago, while listening to a presentation at the Canadian Association of Genetic Counsellor’s (CAGC) Annual Education Conference in Vancouver, I learned that a newly created genetic counseling clinic had decided to remove the term “genetic counseling” from their clinic name. The term seemed to be confusing potential clients, and it was ultimately determined to be a barrier to getting people in the door. Just two days earlier, I had sat in a room with the CAGC board of directors while we undertook a brainstorming exercise to try and come up with a simple and straightforward definition of “genetic counselor.” Led by a local PR & communications professional, our goal was to try and get the definition to less than 10 words. After 3 hours of lively discussion and long contemplative silences, we decided we had done the best we could do: our sentence was 17 words long. It was interesting to watch the response of the communications professional throughout the process. Clearly she has hosted similar sessions with countless organizations, but I sensed our challenge was unique. “You really do have quite a dilemma here, don’t you?” she noted more than once. Genetic counseling isn’t simple and genetics isn’t straightforward. Unfortunately, we live in a society that seems hell-bent on fitting genetics and genetic testing into a nice, neat, easy-to-handle box. As a result, we expend a lot of energy trying to describe why genetics is rarely nice, neat and easy-to-handle. We explain ad nauseam how complex, intricate and emotionally and ethically charged genetics can be. So, how do you simplify a message, when the message itself is intended to express the complexity and complicated nature of the subject? As the chair of the CAGC Media and Communications committee, I have spent the past two years contemplating this question. The irony is not lost on me: communication is one of the most fundamental skills of our profession. We are highly trained to translate complex scientific information into manageable lay-mans terms. Yet, we continue to struggle to effectively communicate who we are to the public and other healthcare providers. Which brings me back to what we call ourselves: Genetic Counselors. Our name is our first impression, our lasting brand and its descriptive nature should easily and accurately reflect the work that we do. As Sean Hazell argued in his recent guest post, the time is right to make a push for increasing our professional awareness. Given the huge communications challenge we have at hand, I think it is crucial we ensure our name is helping our cause, or at the very least, not hindering it. I’m sure we have all had the conversation at some point or another. I remember during my training a pretty heated class discussion about whether the name “genetic counselor” is the most appropriate title for our role. As Bob Resta has previously pointed out, the name is not technically correct; as he explains “genetics counselor” is a more grammatically appropriate term. And many argue that we should consider replacing “genetic” with “genomic” to represent a more contemporary reflection of the times. Further, some believe that using the terms “consultant,” “specialist,” or “associate” in place of “counselor” more accurately reflects the broad range of roles we now hold. While distinct, this subject is intricately tied to the discussion about expanding roles that genetic counselors now hold and will potentially hold in the future (For more on this see Bob Resta’s post: Who the hell do we think we are?). As far as I know there has yet to be a formalized discussion or review of the name “genetic counselor” by our professional organizations, despite the fact that this has been the topic of informal conversation since the establishment of the profession in the 1970’s. I think it is time we officially take a look at this subject. While our professional organizations are accustomed to creating an internal task force to manage this type of task, I think this particular issue may warrant a unique approach. The project would ideally be a collaboration between US, Canadian and potentially international organizations—as creating one united brand would benefit all of us (and creating different names in different countries would likely hurt us). We conduct research and engage external stakeholders— patients, physicians and the general public—in the process. If the goal is to ensure our name accurately reflects what we do to the outside world, then the “outside world” should most certainly be at the table. We partner with professionals to help with this task. Whether it is a communications consultancy, a naming firm or a branding agency, there are trained professionals dedicated to helping organizations solve these types of problems. Changing our professional title would be messy and fraught with logistical issues. And I’m aware that at the end of this type of exercise we may learn that “genetic counselor” really is the most appropriate name for us. Alternatively, we may learn that creating one single term to describe the range of work we now do (or may do in the future) is just not feasible. Whatever the case, I think we owe it to ourselves and to future generations of genetic counselors (or whatever they might be called!) to take a good in-depth look at this issue, in order to ensure we are doing everything we can to enable our professional awareness. I’m keen to see how others feel about the idea of considering a professional name change. Putting logistical issues aside, do you feel the time is right to officially evaluate our professional title? Cast your vote in the poll below. Do you have an alternative name you favour? I look forward to reading your thoughts and suggestions in the comments section. Jim Small is an entrepreneur, speaker, author and successful real estate investor. A sudden family tragedy led him to discover his life’s purpose and career passion. Jim uses his real estate passion to help others create abundance and fulfill his life’s purpose of helping one million children reach their full potential. Jim is currently expanding his global reach on this mission by partnering with other world class speakers, motivators and industry game changers. Jim continues to speak around the world to groups about his personal journey and how others may find their purpose, passion and prosperity, through his Triumphant Legacy™ program (www.TriumphantLegacy.com). Our family story and experiences with genetic counselors revolves around our oldest daughter, Sophia. Sophia was born totally typical with high APGAR scores and developed quite normally for her first year life. Then, somewhere between 15 to 18 months old, my wife and I noticed that she was regressing in her engagement with others – in her language and in her social skills — and she continued to deteriorate from there. We took Sophia to therapists and doctors, and the only thing that they could say was that she might potentially have the behaviorally diagnosed disorder of autism. So, for a couple of years, my wife and I tried to help Sophia with therapies, diet and alternative medical treatments, presuming that she had autism… and she really wasn’t getting any better. A friend advised us to get a full-team assessment at a hospital in California. We took Sophia there for a work up which included neurologists, cardiologists, gastroenterologists, infectious disease doctors, immunologists – the full gamut. These specialists evaluated Sophia and then met as a team. One of the outcomes was to do some additional genetic screening for Sophia. She had already been tested for Fragile X, Rett Syndrome, Angelman and some other things that had all come up negative in the past, so my wife and I reluctantly agreed to do some more blood draws for additional genetic tests. When the results came back, we were asked to return to the hospital to discuss the findings with a neurologist and a genetic counselor. Before the meeting, Audra was told over the phone that Sophia had tested positive for Rett Syndrome and we were then sent the test results. Not really knowing what Rett was, we waited to meet with the neurologist and the genetic counselor to learn about it. Our appointment was horrible. The doctor was clearly very experienced in neurology and she briefly explained a little bit about the genetic mechanism that causes Rett Syndrome – a mutation of the MECP2 gene on the X chromosome. Then the genetic counselor started to guide the conversation as she handed us a book on Rett syndrome. They both proceeded to tell us all the things that Sophia would NOT be able to do, how horrible her prognosis was, how difficult her life would be and how sorry they were that no treatments were known or forthcoming to help with the situation. Needless to say, my wife and I left there feeling quite shocked, devastated and powerless. Basically, we went home and waited for our daughter to deteriorate as they said she would, doing nothing to improve her health for the next six months. Then, as we were trying to treat her seizures (one symptom of Rett syndrome), we ended up seeing a neurologist at a hospital in Massachusetts, who suggested that we meet with a geneticist and a genetic counselor affiliated with that hospital and a very prominent medical school. Naturally, my wife and I were reluctant to do so after our experience at the hospital in California, but we really respected this neurologist, as he was extremely insightful, up on the research and very progressive. So we agreed to see this new geneticist in Boston. In meeting with him, we were given hope for the first time – he explained that there had been a reversal of Rett Syndrome symptoms in mice and that he was of the belief that in the coming years, we would be able to find a mechanism to help girls like Sophia reverse Rett syndrome completely. Moreover, he had been working with girls with Rett syndrome for many years, and told us that girls who presented like Sophia actually have a much better prognosis than what was described to us bythe genetic counselor at the California hospital. Then his genetic counselor colleague came in to join the conversation. She explained once again the cause of Rett syndrome, and then began to elaborate on how they were looking into trials for particular drugs and treatments that may reduce the severity. Both the doctor and the genetic counselor stressed the many girls they had seen, like our daughter, who ended up having all kinds of abilities that weren’t in the text books and weren’t part of the old school prognosis (which they believed was outdated) and suggested that the future for our daughter was actually quite positive. Although my wife and I respect the first doctor’s and genetic counselor’s prognosis as historically accurate, we were struck with the 180 degree difference between that negative and de-motivating scenario and the hopeful perspective of the second geneticist. Working with the team in Massachusetts, wife and I have felt very empowered and optimistic about our daughter’s future. Although the research available to both groups of genetic counselors was the same, the presentation of the facts, the future, and the prognosis were dramatically different. We hope that all families experiencing an issue that requires the help of a genetic counselor will have an experience as favorable as our second encounter, where we got hope along with the facts and an understanding of the reality. I think that optimism can make genetic counselors more effective, more empowering and more giving. With medicine, nobody knows the future. Although experience and literature allows us to be familiar with the past, no one ever knows what scientific and medical breakthroughs will happen over the course of a human lifetime. So, as genetic counselors provide information, help and resources to families, I think it’s critical that they remain optimistic about the potential changes we are going to see in the future and how those will, almost inevitably, make the prognosis for today’s patients affected by genetic disease much, much better. I proudly admit to being a Word Nerd, a hound who sniffs a trail on a random dictionary page for the sheer pleasure of flushing out obscure words. Today’s finds were haček, hachure, and hackbut. So let me combine two of my passions – words and genetic counseling – and share a few irreverently serious thoughts on some selections from the genetics lexicon. Genetic Counselor –This professional title is just plain wrong. We should more properly be called genetics counselors, i.e., those who counsel about genetics. The s-less form gives the impression that being a counselor is the result of a hereditary predisposition towards counseling (“I’m sorry,” she said to the patient after an overly long counseling session, “Sometimes I can’t stop myself from counseling. It must be genetic.”). A health professional who counsels about diabetes is called a diabetes counselor, not a diabetic counselor. Unless of course you were describing a counselor who happens to have diabetes. Hey NSGC – time for you to take the lead on this one and change the name of our profession, though I shudder to think of the impact on the fine print of those state licensure laws. Chimaera vs. Chimera. I prefer the “ae” spelling because “ae” words are uncommon in American English and its occurrence in the middle of the word makes it look like a hybrid word, just as a chimaera is a rare and unusual genetic hybrid. 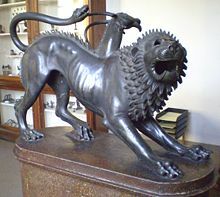 The word comes from the mythological fire-breathing female creature said to be the product of an incestuous union and is an anatomic pastiche of a lion, a goat, and a serpent. It is derived from the Greek khimaira, a year old she-goat. Its earliest use in English, in the 16th century, meant “wild fantasy.” The chimaera fish is a member of the Chimaeridae, a class of cartilaginous fishes. Given these connotations, the term is insensitive and evokes a sideshow spectacle. If I were someone who were chimaeric, I would lobby for a new designation for this phenomenon when it occurs in humans. Meiosis/Mitosis. It is blatantly unfair and inconsiderate that two words that describe processes broadly similar in outline but critically different in detail and outcome should have easily confused names. When I learned about cellular division, I resorted to the mnemonic “Meiosis has an ‘e’, and ‘e’ is the first letter in egg; thus, eggs undergo meiosis, not mitosis.” It also helps to know that meiosis comes from the Greek word for “lessening,” reflecting its characteristic reduction division (though during mitosis the amount of DNA doubles from 2N to 4N and then reduces to 2N…Oh, never mind). The great 19th century German biologist Walther Flemming coined mitosis after his observations of the dividing gill and fin cells of a salamander. Mitosis derives from the Greek word for “thread,” presumably referring to the dividing cell’s threadlike chromatin. The Online Etymology Dictionary translates the Greek a bit differently as “warped threads.” Warped Threads would be a good name for a Seattle alt band that sings quirky songs about salamanders (“Newt Is A Real Salamander”), Greek letters (“I Was Just Your Beta-Test Boyfriend”), and 19th century German biologists (“Virchow’s Virtues”). Kindred, Kinship. While there is nothing wrong with pedigree – that old crane’s foot of a word – kindred and kinship are snazzier, a syllable shorter, and permit the Teutonic pleasure of the “k” sound. It also evokes a spirit of unity (the whole family is on this ship together and united by a special bond, as in kindred spirits). Besides, everybody thinks of dogs and horses when they hear pedigree, whereas kinship and kindred are usually only applied to humans. The related term sibship rolls off the tongue nicely too. Products of Conception. This wins the Silver Medal for the coldest and most insensitive pregnancy-related term; the Gold goes to habitual aborter (both sound suspiciously like terms created by men for women). I recognize that it tries to communicate the idea that pregnancy includes a fetus as well as membranes and a placenta. But the term robs pregnancy of its emotional richness and sounds like a Marxist critique of a capitalist pregnancy factory where the female proletariat manufacture babies to generate profits for the owners. Primitive Streak. I am fond of this one because it communicates the ancientness of this vertebrate biological structure. I am not the only one intrigued by this name. The Subdudes 1996 CD bears this title. It is also the name of a coolly outrageous clothing line developed by fashion designer Helen Storey and her sister Kate Storey, a developmental biologist. Their creations realize the early stages of embryonic development in fabric, and include such items as a dress featuring two sperm-shaped breast plates and a stunning white fake fur neurulation dress. Genetic Drift. This term, attributed to the great geneticist Sewall Wright, clearly and non-technically evokes the word’s meaning without resorting to pedantic combinations of Greek words. You hear “genetic drift” and you immediately grasp what it refers to – random fluctuations in gene frequencies over time and populations, the evolutionary equivalent of Brownian motion. Genetic Drift was also the name of a wonderful series of genetics essays written by Larry Karp in the American Journal of Medical Genetics in the early 1980s and which were one of the inspirations for me to blog about genetics. By Myra I. Roche, M.S., C.G.C. Myra I. Roche, M.S., C.G.C. is an Associate Professor in Pediatrics, Director of Pediatric Genetic Counseling Services, and an investigator in the Center for Genomics and Society at UNC, Chapel Hill. Her research interests include parents’ understandings of genetic information and their genetic counseling experiences following acceptance of newborn screening for fragile X syndrome. She co-edited An Ethics Casebook for Genetic Counselors: Ethical Discourse for the Practice of Genetic Counseling, serves on the JGC editorial board, and was chair of the ABGC Certification Exam Committee. She has worked at UNC for the past 25 years, living in the same house for the last 24. Her favorite past-time is walking. This statement recently appeared on the NSGC listserv with a plea for participation in a salary survey, an extremely important task for a young, thinly-populated profession like genetic counseling. What struck me hard, though, was the echo of a well-worn misconception promising a simple explanation for the pay discrepancy between the genders. The answer: women just aren’t good enough- at being men. This evaluation of women’s negotiating skills is not new and is best summed up by Professor Henry Higgins’ exasperated rhetorical question, “Why can’t a woman be more like a man?” But shouldn’t we be suspicious when righting an inequality requires the “have nots” get better at imitating the “haves”? The fault lines here are clearly drawn. Yes, the playing (and paying) field between the genders remains uneven. Sorry to be the one to bring this up for the 15 billionth time. Currently women make, on average, 77 cents for every dollar a man makes. Analyzing salaries across genders is full of pitfalls but even after several corrections, the disparity remains (pdf). If you don’t know the facts, see this National Committee on Pay Equity Quiz. Admonitions that women have only themselves to blame are old but the twist, “thanks for dragging me down with you”, strikes a new, blatant tone that is shocking. If women would just stiffen up their collective lips, stride into their bosses’ offices carrying their weight in unequivocal salary data to prove they are underpaid, well, what’s been stopping them? But if poor negotiating is the culprit, how can it be that women, long stereotyped as being superior wheedlers (particularly of men) to get their way, would inexplicably fail to wield these same skills when more money is the goal. Is this simply a lack of gumption? 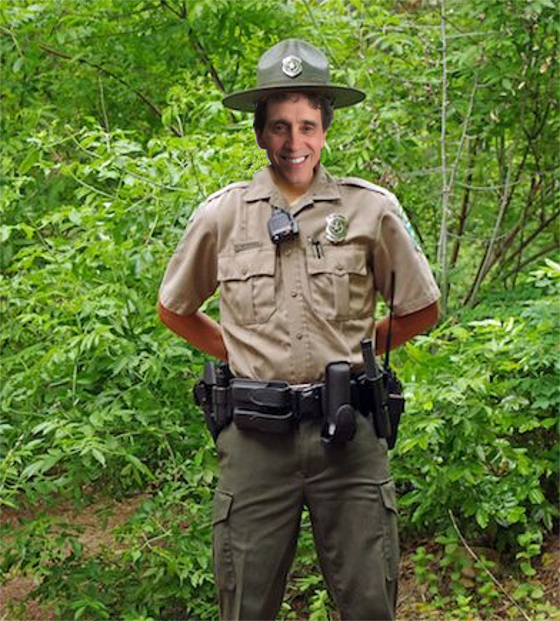 As every good negotiator knows you have to be ready and able to walk when the answer is no. To walk, you need options. And good shoes. Women have had fewer options than men because they can become pregnant- something that was, until only an evolutionary blink ago, uncontrollable. This monthly roulette, combined with fewer educational and financial resources, left them less able to walk away because they were barefoot, pregnant, or both. Looking up from our respective grindstones, we see that women, ages 23- 30, have, apparently, arrived. In those who are college-educated and, not accidentally, without children, we find our proof of principle. Their salaries are comparable, or even exceed, their male counterparts. Have they figured out how to act like men? Do they have more gumption? Or, do they just have better walking shoes? Some have argued that women are very savvy negotiators because they understand how risky it is to ignore the social costs implicit in these transactions. When shown a video of a man or a woman asking for a raise, judges of both genders agreed that, yes, certainly, the man should get a raise. But the woman, speaking from the identical script? 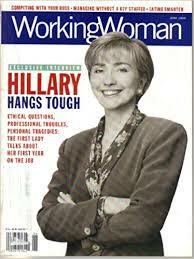 Nope, and furthermore, we don’t like her either because she is way too pushy. For a woman. Same script, opposite decisions. For a women wanting a raise, Henry Higgins’ advice was dead wrong. Don’t act more like a man. Act more like a (stereotypical) woman. Be warm and friendly, show more concern for others than yourself, and figure out how to make the raise your team leader’s idea, not yours. Tellingly, women’s reluctance to negotiate for higher pay occurred only when the judge was a man. Is more money always, unequivocally, without a doubt, better? For many women the answer is clearly no. Certainly not always better than being socially ostracized otherwise what else could be stopping them? As women walk toward more money, they are, at the same time, often walking away. Away from their safety net of people who individually and collectively support them. Add in children, elderly parents, and lots of other factors and the tightrope beings to sway even more, making walking a very precarious choice. Yes, definitely, arm yourself with all the salary data you can, stride briskly into that office, and try to convince your boss that it was her idea. I applaud your efforts even as I keep my fingers crossed. I hope you get the raise you believe will make you happier. But sometime soon, put yourself in someone else’s shoes. Maybe more money will make you happier. But for women in other shoes, the figures may add up differently. No need to shame others who have done their own math and calculated that the timing is wrong, they can’t afford to waste precious social capital or, frankly, their feet hurt. To imply that colleagues who are not actively negotiating their salary are somehow responsible for anyone’s inadequate income smacks of nothing more than just shoddy reasoning. Acknowledgment: Thanks to Elana Jones for her insightful editorial comments.